We've been busy this past month working behind the scenes to update our website with some amazing new products, new color lines and some really fun content. Starting in May we will be debuting two new lines of Clip In Extensions by Le Prive and and a new line by Bohyme Hair Extensions. It's been awhile since we've added new products to Sunnyshair.com and there are some really amazing new products that are simply so innovative that they will change the way you think about hair extensions forever! 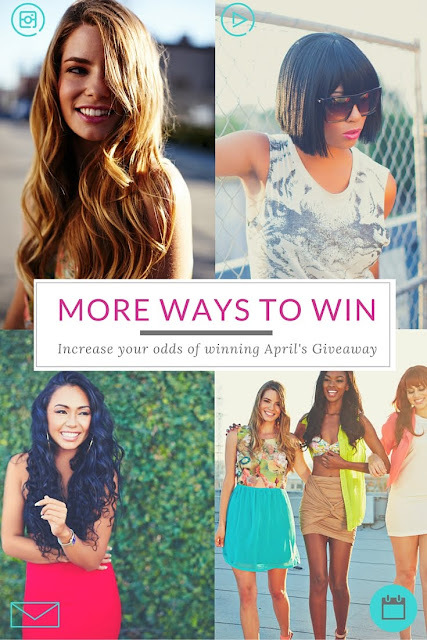 Leading up to these new product releases we are giving away a set of Clip In Hair Extensions to two lucky winners for the month of April. We haven't done a giveaway in a few years and what's exciting about this giveaway is that there are more than one way to get an entry. You can share with friends, subscribe to our YouTube Page or like us on Instagram all for an additional chance to win! Be sure to make sure you engage the contest through the widget below to get extra entries. We will announce the winner on May 10th via email and all of our social media channels so stay tuned!